If you have time, don't guess on sizes! If you want your parents happy and your girls looking great, purchase a sizing pack for your squad or league. 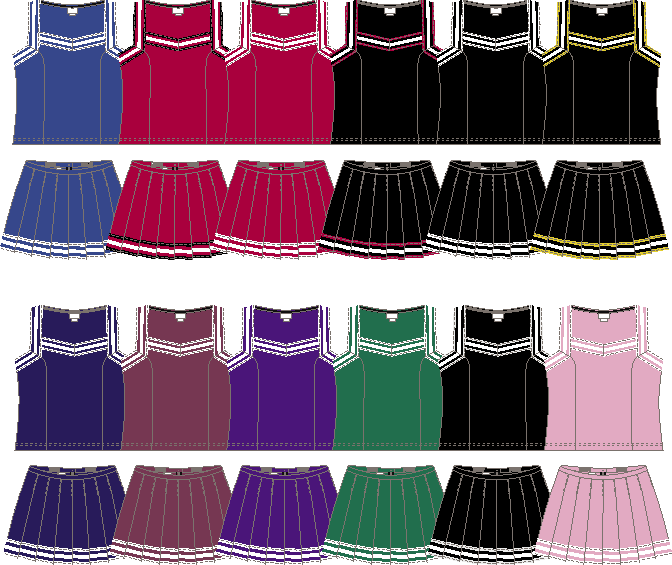 Choose either youth or adult or a mix of the middle sizes, have the girls try them on, then return to us for lettering. The amount you paid for the sizing pack will be applied to your large order. Try to order just the sizes you will need in the color and style you will order. Sample packs include the cheer shells & skirts. Long sleeve tops and liners are not included in the sample packs, but can be purchased separately.